The growing interest in the utilization of games for society, business and politics, commonly referred to as serious games (SG, see also word cloud), entails a growing need to understand the effects of what we are doing and promoting. This is necessary out of professional and scientific curiosity as well as responsibility and accountability. 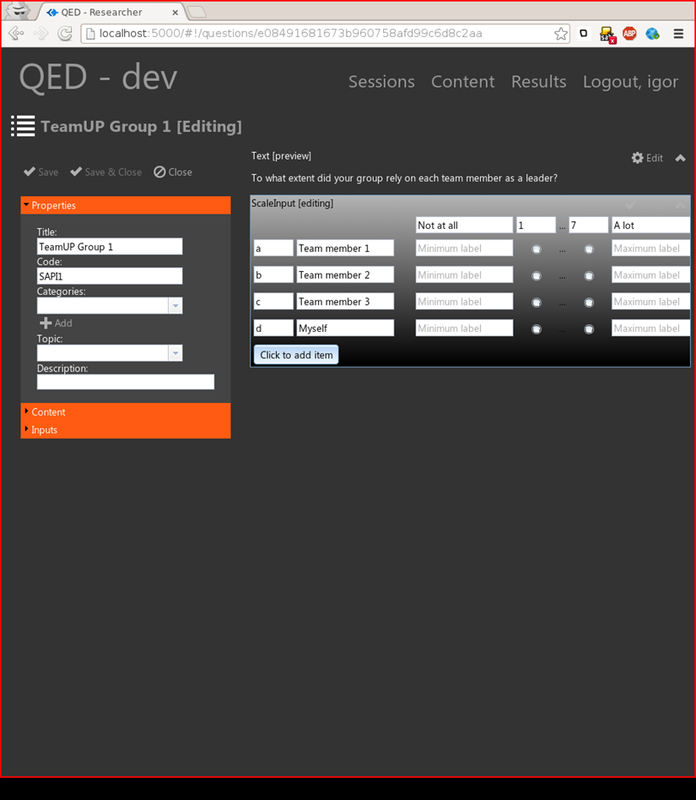 The Q.E.D tool is a tool (under development) which supports short surveys for the purpose of debriefing, assessment and evaluation in game-based workshops. Q.E.D stand for Quod Erat Demonstradum (what is to be proofed) as well as for Quasi Experimental Design. The advantage of Q.E.D over online survey tools, is that it can be used locally and no Internet connection is needed. Moreover, the tool can handle repeated measurements, for instance when respondents answer questions before, during and after the game. Data can be processed immediately into game and learning analytics dashboards, combining with in-game data.